A Brief History of the Absolutely Amazing "A"
Most modern alphabets start with the letter “A,” or a near equivalent. It was also first in line in the ancient Greek and Phoenician—from which the Modern English alphabet is ultimately descended—alphabets, too. 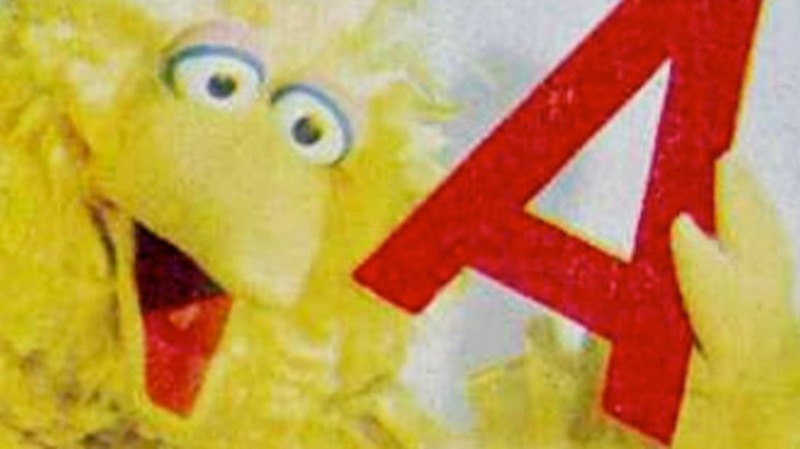 Being the gateway to the other letters and to literacy, “A” has rich symbolic value. Grouped with “B” and “C,” or even standing all alone, it can represent the whole alphabet and the learning of it. When that trio is written on a blackboard, there’s no having to guess what the kids are learning. The “A” and its Greek cousin alpha are also shorthand for excellence and achievement. You get an “A” or “A+” for good work in school, an A-1 vessel is an well built boat of the highest class and many social animals, from dogs to humans, follow the lead of the alpha male. The “A” appears in some of the earliest known transcriptions of the ancient Canaanite or Semitic (no one is sure which came first) alphabet from which most modern alphabets descend, written on limestone tablets in central Egypt around 1800 BC. Like the rest of the letters in this alphabet, “A” is descended from an Egyptian glyph and started out as a picture of an ox’s head. Over time, the ox head was simplified (drawn like a “V” with a crossbar to make a snout, ears and horns) and rotated to get to what we have today, with the horns acting as the letter’s legs. When the Greeks adopted the Phoenician alphabet, it wasn’t very well suited to the sounds of their language. The breathing sounds weren’t needed at all, so the Greeks instead employed those letters to represent their vowel sounds. They changed the shape of the aleph, too. When they borrowed the letter and dubbed it alpha, the ox-like (though rotated, so it also sort of looked like a “K”) Phoenician symbol didn’t have much meaning to them, so they rotated the letter some more. The horns became legs. At one point, one of the legs got lopped off, but was eventually reattached. Today, the sound of the “A” varies among the different languages that use it, and sometimes even within the same language. In English alone, “A” stands in for twelve separate vowel sounds. The sound it makes in “pa” or “ma”—what linguists call the low, back vowel sound—is thought to have been its pronunciation in ancient Etruscan.